Payomet is excited to welcome back - for the 9th year in a row! – Marcia Ball on Saturday, October 6th. 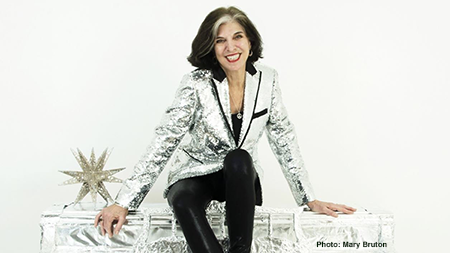 "Fifty years have passed in a flash," says Texas-born, Louisiana-raised pianist, songwriter and vocalist Marcia Ball of her long and storied career. Ball, the official 2018 Texas State Musician, has won worldwide fame and countless fans for her ability to ignite a full-scale roadhouse rhythm and blues party every time she takes the stage. She and her band know how to raise roofs and tear down walls with an infectious, intelligent and deeply emotional brand of southern boogie, rollicking roadhouse blues and heartfelt ballads. Over the course of her three-decade career, Ball has earned a huge and intensely loyal following all over the world. Her exquisite piano playing and passionate, playful vocals fuse New Orleans and Gulf Coast R&B with Austin’s deep songwriting tradition into a sound No Depression described as “a little rock, a lot of roll, a pinch of rhythm and a handful of blues.” Her band is so tight, absolutely rockin, too. Fun, fun, fun!